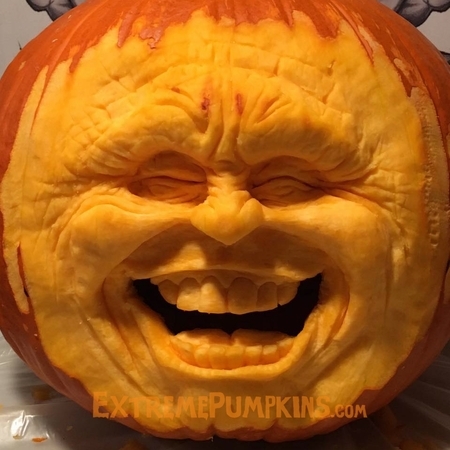 Is This Pumpkin Rush Limbaugh? Home > Enter The Pumpkin Carving Contest > 2016 Pumpkin Carving Contest Winners > Is This Pumpkin Rush Limbaugh? This pumpkin submission came in without description. It looked like an actual person though, so I started researching. Apparently it resembles Rush Limbaugh, who makes a lot of money, talks a lot, and seems to eat a whole bunch.